At 10am EST on the 15th April 2019, Formbird hit the “public” button on publishing our server to NPM. This provides the world with free access to the Formbird server. An exciting event in the evolution of Formbird. A very quick and painless way to obtain the server is to download the fully configured Server. Both install and download instructions can be found at our “docs” https://www.formbird.com/docs. 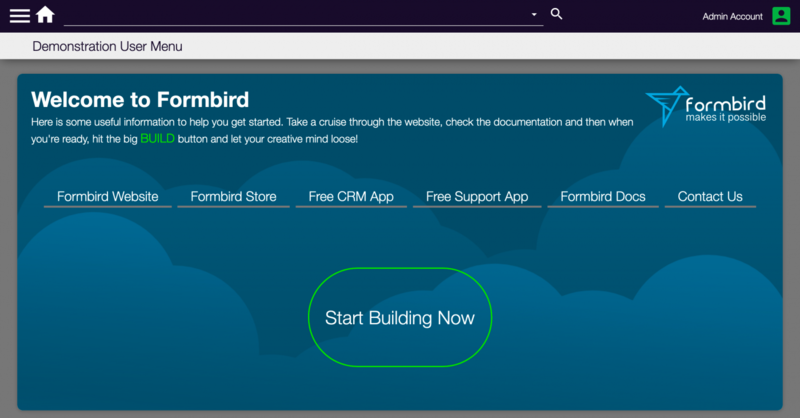 It is now possible to give Formbird a tryout on our demo environment, then head on over to download your own server then download our free sample CRM App and Support Module. A true milestone in the history of Formbird.